Big THANK YOU to Pamela Topick Fox for the generous package I received today from Pennsylvania for the homeless of Logan Square, Chicago. She was touched by the below video interview with Bud and wanted to send him a Burger King gift card. 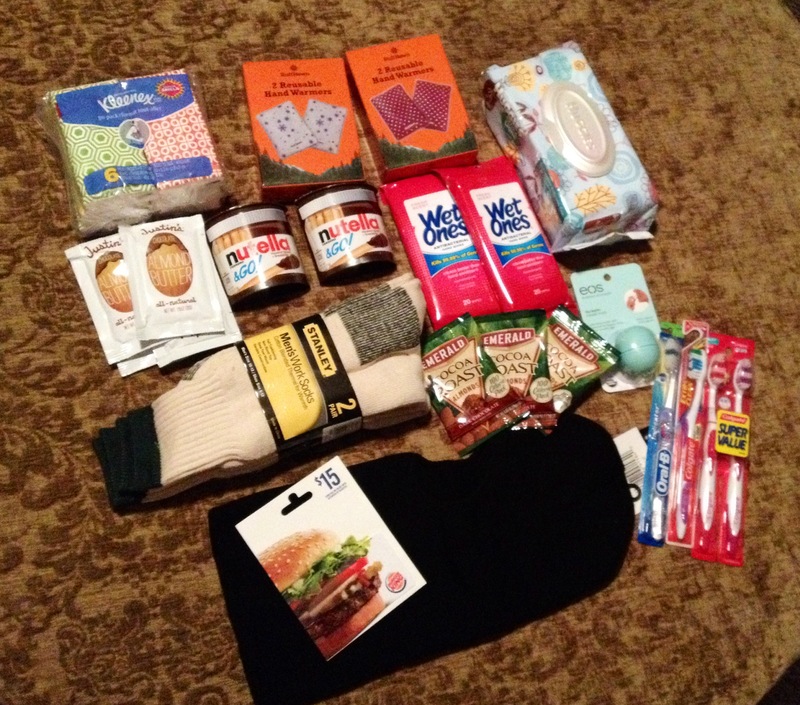 She ended up sending these great reusable hand warmers (brand: Ruff Hewn), toothbrushes, a ski mask, very warm socks, lip balm, mixed nuts, wet wipes, tissue, almond butter spread, Nutella packs and of course, a gift card to Burger King. Thanks Pam!